This beautiful tablecoth features a delicate patten and is then framed with a striped border. 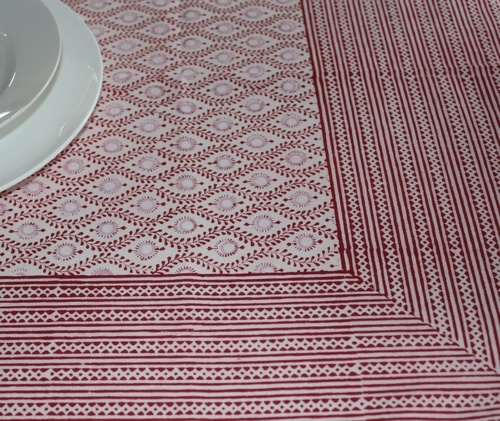 The Lulu tablecloth is great for any occassion, including Christmas lunch with family or dinner with good friends. Bungalow tablelinen has been designed in Denmark and then block printed by craftsman in India. This tablecloth is 100% cotton. Matching napkins are available.